Ray Festa, a tireless community advocate, is the reason behind the Live SunSmart Foundation. Ray cared deeply about the development of young people and supported many meaningful outreach programs in the community. 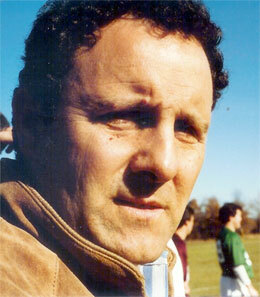 Ray Festa was born, raised and remained a lifelong resident of Montclair, New Jersey. He was an outstanding athlete and dedicated leader in all aspects of high school life. As an adult, Ray was the owner and operator of Ray’s Luncheonette, a beloved lunch spot for many. Ray’s Luncheonette became the place to be—a gathering spot for fun, conversation, community involvement and relaxation—all in a wholesome, friendly environment. There was an eclectic mix of customers, which facilitated communication among all groups. It didn’t matter whether you were a politician, a sanitation worker, doctor, police officer, lawyer, construction worker, banker, or teacher, everybody was treated with the same respect. At any given time, you would find people of differing backgrounds sitting side by side debating topics ranging from sports to politics to education and beyond—nothing was off-limits creating a dialog that only exists on social media networks today. Ray’s business embodied his values—family, community involvement, sports, and the development of young people. Ray married Linda, his high school classmate, in 1962 and had three children, Teri, Ricky and Kim. Sadly, he never met any of his six grandchildren: Bridget, Kate, Erin, Reese, Brendan and Colin. Ray died at just 53 years old as a result of Melanoma in 1992. In his honor, the Ray Festa Melanoma Foundation was formed to continue his commitment to young people and the rest of the community by educating everyone on the importance of Living SunSmart. What began simply as a tribute to Ray, has blossomed into a larger initiative to help save lives throughout the country – if not the world.